Diuris sulphurea, or similar, one of several terrestrial orchids seen today. 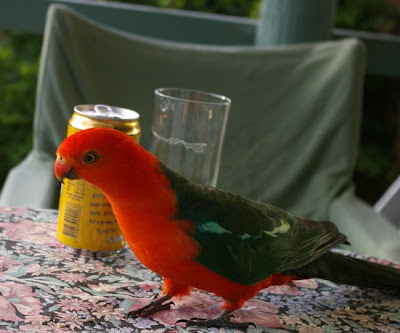 I'm currently staying with my friends Roger Farrow and Christine Kendrick at their home near Queanbeyan, New South Wales. 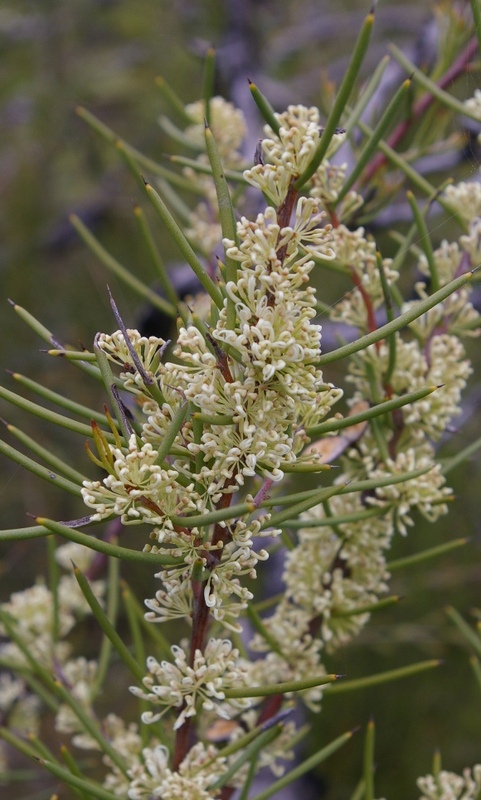 They are enthusiastic members of the Australian Native Plants Society, and know the best sites for native plants over a wide radius. Today Roger took me on a foray into the trackless Tinderry Nature Reserve, an extensive tract of natural 'bush' on the slopes of a mountain, not very far away. 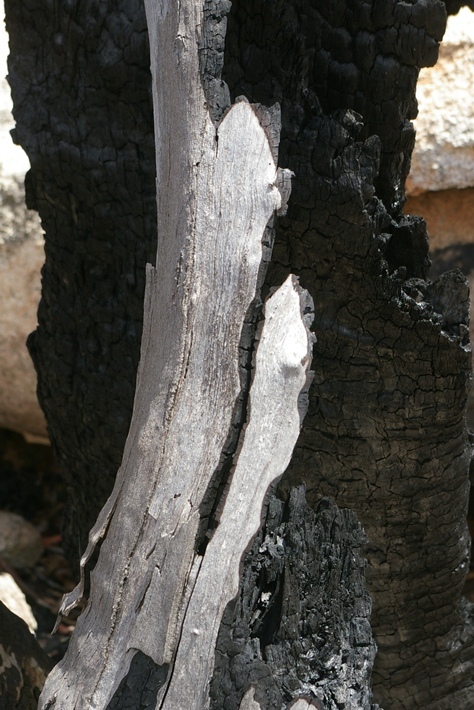 While natural and remarkably free of invasive aliens, it is not undisturbed, as the section we visited had been burnt three years ago by a wide-ranging bush fire. The result, as seen today, was to destroy most of the trees and lower storeys of plants - temporarily. 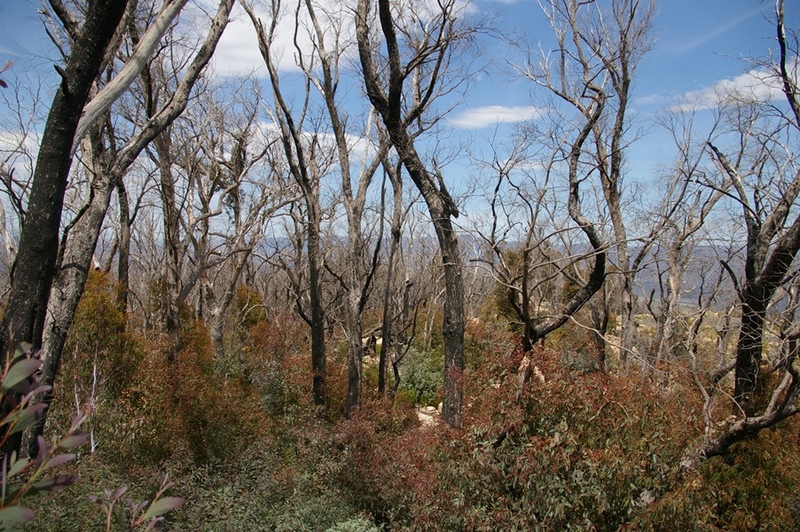 The Australian flora is fire-adapted, however, and now,assisted by two wet years, the vegetation is making its recovery. 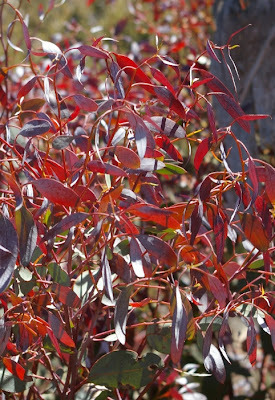 The Eucalyptus (of which 16 species are recorded for the reserve) have varying strategies for recovery: some regenerate from seed, others from basal shoots, while some are able to sprout epicormic shoots from the trunk. The result now is a woodland of mostly completely dead standing trees, with a mass of new growth low down: only a few have living branches in their crowns. Among the Eucalyptus are a mass of other regenerating woody plants, including wattles (especially Acacia obliqua), several olearias, Leptospermum, Grevillea and more, and from the tangle of dead stems it was easy to see how they would soon form an almost impenetrable thicket. 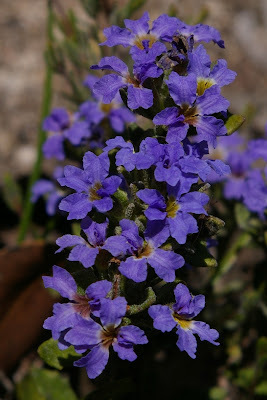 But their suppression means that other plants have a chance, and we saw a great diversity of smaller species in flower. The highlight was finding the rare and seldom-seen Dampiera fusca in full flower, en masse, a really beautiful sight, but several ground orchids, other monocots, numerous legumes and many more (most of which I'd never heard of), made it a splendid day of field botany. 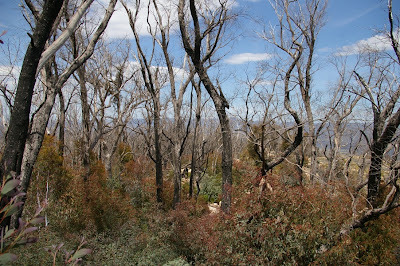 Regeneration of Eucalyptus following a fire three years ago. Forget David Nash! Charred eucalypt trunks are beautifully sculptural. 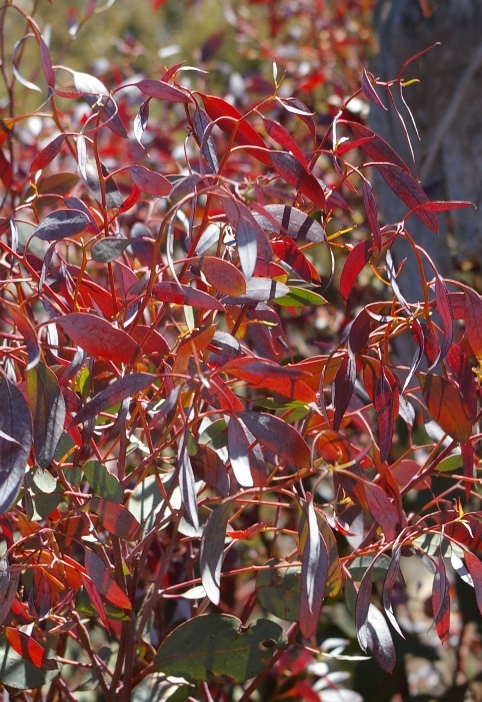 A particularly strongly-coloured flush of new growth from an unidentified Eucalyptus: they regenerate freely but the characteristics of bark and fruit can't be seen to give an accurate identification. 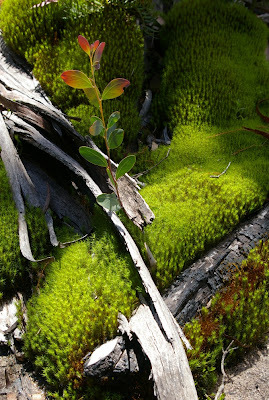 A seedling Acacia obliqua among lush Polytrichum. Massed flowering of Dampiera fusca is extremely rare: this is three years after a fire and follows a wet winter. My host and guide for today, Roger Farrow, photographing Dampiera. As he said we hit the jackpot, with very few people ever having seen this species, never mind sheets of it. 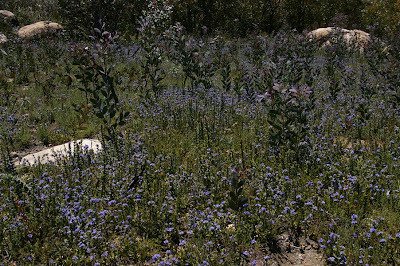 Viola betonicifolia in the litter below the eucalypts. 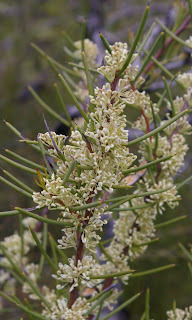 Hakea microcarpa in a swamp, with needle-sharp leaves. Utricularia dichotoma was a nice plant to find in the swamp. Back at the ranch... a rather friendly King Parrot. Metaphors aside, the prominence of stamens and stigmas is not unduly emphasised in this series of outstanding botanical paintings. Some of the paintings are gigantic (119 x 84 cm) - vastly larger than any botanical watercolour I have ever seen - but retaining all the detail and quality one expects in true botanical art: these are not Georgia O'Keeffe style representations, though the effect is often nearly as dramatic. The rest of the show is more traditional in size, featuring a diversity of flowers and fruits, beautifully depicted. With art currently also on display at the Melbourne botanic garden, and in an exhibition of three hundred years of Australian botanical art in Ballarat, JPP is gaining due recognition as an exceptional botanical artist. 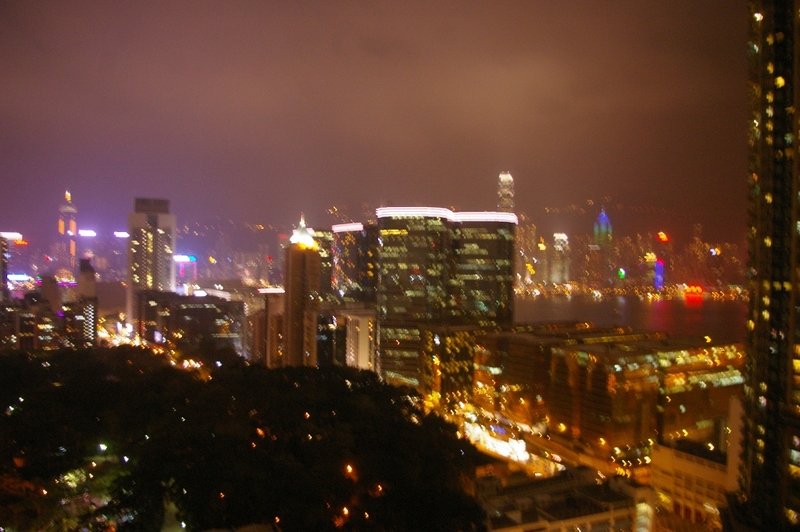 On my way to Australia, where I arrived this morning, I stopped for two nights in Hong Kong to (principally) see an old school friend, Douglas Fok, for the first time in 31 years. 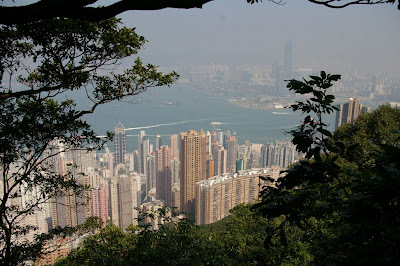 It was a happy reunion, and he very kindly took time to show me all over Hong Kong, from the island to the mountains of the New Territories, as well some very nice restaurants. 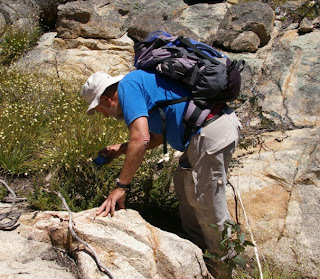 Most of the sites we visited were of some sort of hortico-botanical interest, with a diversity of plants to see. I hope to post some more details about these later, but I'm having a little difficulty editing photographs as I go, so here is a preliminary selection. 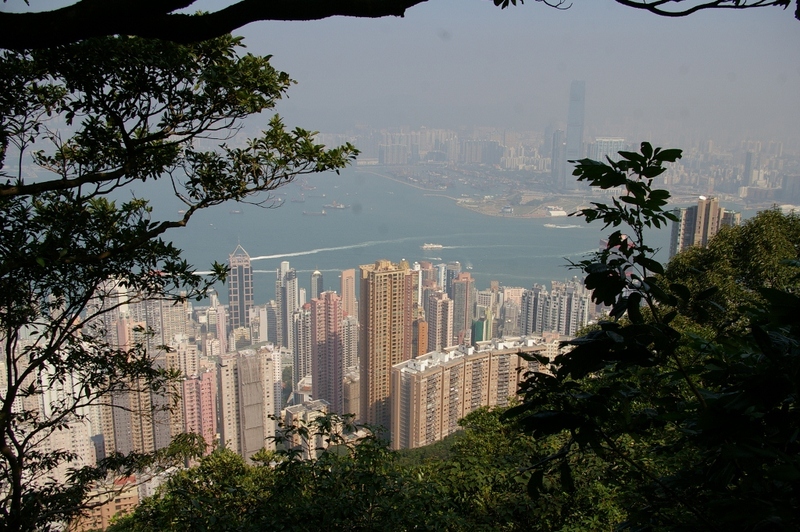 Hong Kong from the Peak: the urban jungle below contrasting with the natural forest above. 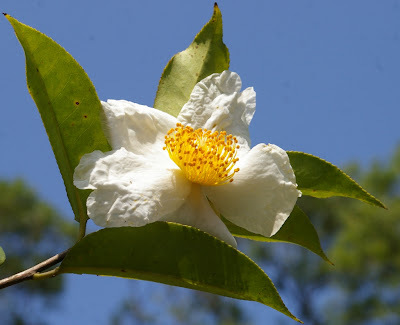 Camellia granthamiana, cultivated on the Peak, but a Hong Kong native plant. 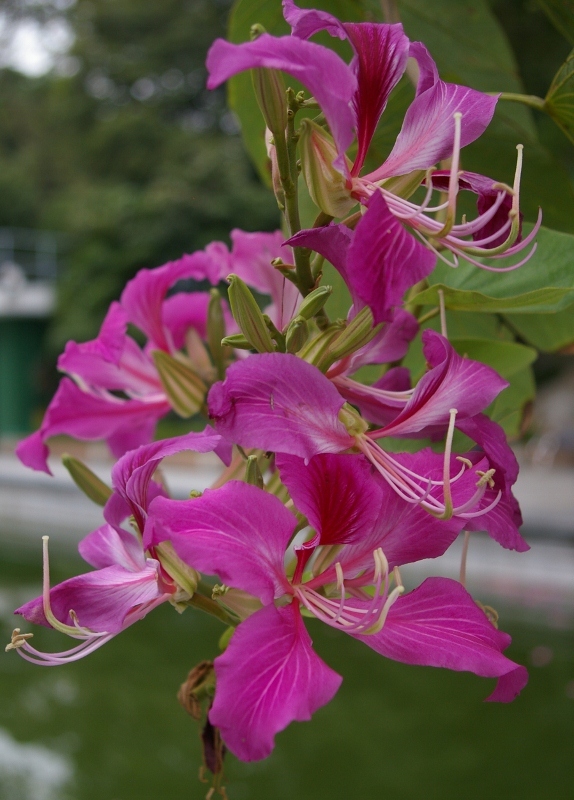 Perhaps the most interesting plant I saw in Hong Kong, up in the mountains. Yes, a dull yellow daisy, but this is the wild Chrysanthemum indicum, from which all chrysanthemums are derived. I've been wanting to see what it really looked like for years. 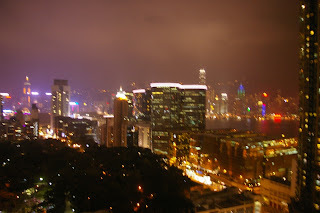 How to really see Hong Kong - at night (from my hotel window). ﻿ For the past few weeks I've been enjoying a plant of Cyclamen persicum Whirlygig on my desk. It's larger-flowered, and rather pinker than I normally care for in cyclamen, but it's another plant to which I have a connection. The Whirlygig cyclamen originated with a plant spotted by my former colleague Diony de Bont when he was very active in breeding cyclamen with Kees Sahin in the early 1990s: it had expanded, pale calyx lobes that forced the corolla to open flat. It was a new break and Diony bred from it to create a stabilised line of such plants, in different colours, in which the best have a well-developed calyx that forms a nice contrast with the bright colour of the corolla. They were first introduced to the trade in 2001 and have had moderate sales as a novelty, so to find them offered for £2.99 in the Malton Morrison's supermarket was a pleasant surprise. In Whirlygigs the calyx has become petaloid and white, though often shows some streaking with colour, as here. Just out: The Genus Lachenalia by Graham Duncan , the latest in the series of Botanical Magazine Monographs from Kew Publishing. Lachenalia is a genus of about 130 species of bulbous plant from southern Africa, fitting well into the coherent family Hyacinthaceae, though this is now subsumed into a broadly defined Asparagaceae. 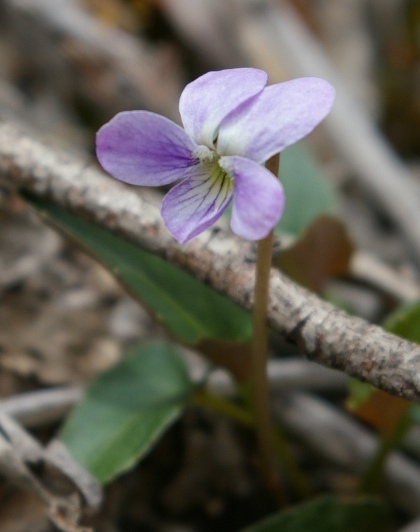 The majority of species are quite short in stature - few exceed 15 cm - and some have distinctly small and dingily-coloured flowers. On the other hand, many have large, conspicuous and ornamental flowers in an array of colours ranging from sea-green or blue to rich red and clear bright pink, often complemented by attractively marked leaves. A handful of species occur in Namibia, but the majority are South African endemics, often very locally so, with, (as usual), the greatest diversity in the Western Cape. This diversity of species and their presence in distinct habitats makes Lachenalia a fascinating genus to get know. I have had little success growing them in a crowded greenhouse, but on both occasions I've been at the Cape in springtime (i.e. 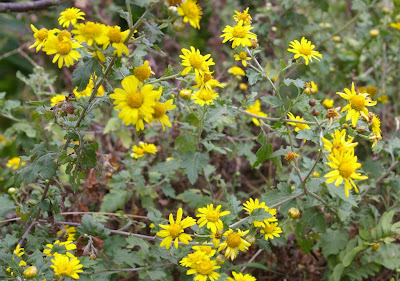 late August-September) they have been a subject of fascination out in the veld and I've always wanted to know more about them. Since 1988 the standard work on the genus has been Graham Duncan's The Lachenalia Handbook, a slim book published by Kirstenbosch. Although botanically useful, it is essentially a gardener's guide. Or was: it is now comprehensively rendered obsolete by Graham's magnificent new book The Genus Lachenalia, published last month by Kew Publishing. His interest in the genus goes back a long way: the first of his referenced publications on the subject dates to 1978, when he was 19 and has continued in a great sweep until the present culmination of his experience in this book. Although he is interested in all (and grows most) South African bulbs, there is no doubt that his true passion is for Lachenalia. Graham Duncan in the bulb house at Kirstenbosch, with Lachenalia duncanii, named in his honour by his mentor, Miss Winsome Barker, in 1989. ﻿﻿﻿﻿﻿﻿﻿﻿﻿﻿﻿﻿﻿﻿Despite having been studied for centuries, and being popular with students of the Cape flora, eleven new species are described in this account, including one, Lachenalia thunbergii, that was first collected by C.P. Thunberg (as in the genus Thunbergia), who first collected it in 1774 in what is still the only known location for the species, the top of the Riebeek Kasteel mountain. It and several other showy-flowered species had been included into a widely circumscribed L. aloides until recently: others liberated from this embrace are L. quadricolor, L. vanzyliae, L. flava and another new species, L. callista. All are distinct in morphology, ecology and distribution. I suspect that for many growers, at least, the inclusion of the former genus Polyxena in Lachenalia (as a subgenus) will be difficult to accept, but all studies indicate that this is where this distinct group, with its upwards-facing, usually actinomorphic flowers belongs. Traditionalists will be glad to know that this revision of the genus is based almost entirely on morphology, though chromosome counts are employed too. So far DNA analysis has proven difficult in Lachenalia. The Genus Lachenalia is copiously illustrated with photographs, scanning electron micrographs, line-drawings and a large number of plates of botanically accurate watercolours by several artists. Quite a few are by the former Kirstenbosch botanist, Miss Winsome Barker (1907-1994), whose passion for Lachenalia was passed on to Graham. Her career with the genus spanned 59 years, and it is a fascinating, though sad, fact, that she was able to inspect a significant collection of early type specimens in Vienna before they were destroyed in World War Two. Graham would be the first to admit that he has built on her foundations, and it is lovely to see her paintings being used among those by recognised greats in south African botanical art, notably Fay Anderson, Elbe Joubert and (to my mind), the incomparable Elaphie Ward-Hillhorst. 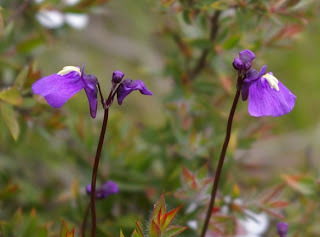 The photographs, mostly by Graham Duncan, usually show plants in the wild, but are sometimes of specimens he's cultivated at Kirstenbosch. 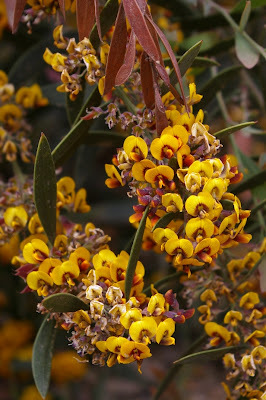 L. verticillata, by Fay Anderson. A lot of lachenalias have beautifully marked foliage. Lachenalia orchioides var. 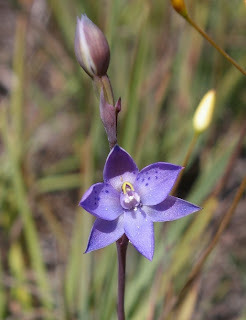 orchioides near Somerset West, 2010.This widespread species was one of the first to be known to Europeans, being first illustrated in 1700. Lachenalias in cultivation in the bulb house in the Kirstenbosch nursery: this is where Graham Duncan has practised his skills for over 30 years, gaining unequalled knowledge of the genus in cultivation. 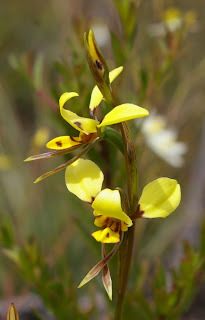 It seems very improbable that this will be Graham Duncan's last word on Lachenalia. As he says, molecular analysis has proven difficult so far, but without it it is difficult to work out true relationships between the species. When the necessary techniques are resolved we can expect fresh revelations and more publications on this remarkable genus - but for now this lovely book will serve us well. It is available from www.kewbooks.com or other sources (ISBN 978 1 84246 382 6).